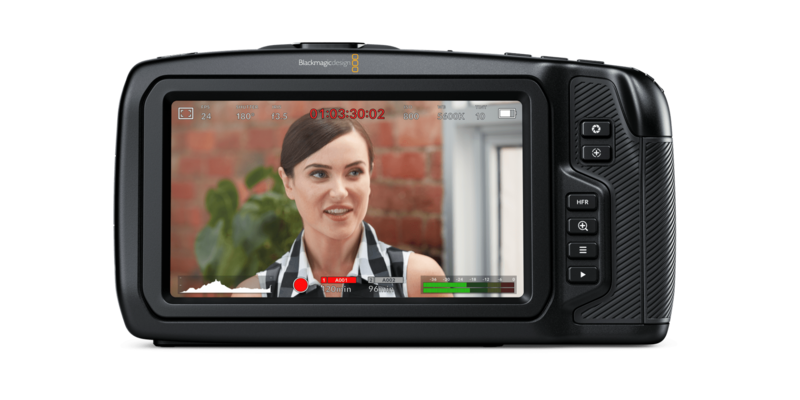 Blackmagic Design’s Pocket Cinema Camera 4K (BMDPCC4K) is the predecessor to the company’s 2013 release of the Pocket Cinema Camera. So what else is new with this camera other than it has more k’s? Well, that’s kind of the main point. The PCC 4K is a mirrorless form factor camera that can shoot resolutions up to DCI 4k footage in RAW format at up to 60fps. It can also shoot up to 120fps if you drop the capture resolution down to the lightest flavor of 1080p. We know that looks like a lot of acronyms, but trust us, it’s amazing. And while the camera is a mirrorless, it’s definitely on the larger side due to the screen on the back. Unlike most cameras in this size bracket, the back of the PCC 4k is nearly all glass due to its five-inch touchscreen. A screen of that size means that pulling focus and accurately checking colors is going to be much easier than if it were a smaller, three-inch screen. Also new is the image sensor, which has grown a bit into a full-fledged Micro 4/3rds size. Previously, the sensor was closer to Super16 in size. The increase in sensor size should mean more versatility in the depth of field and better imaging ability in low-light. 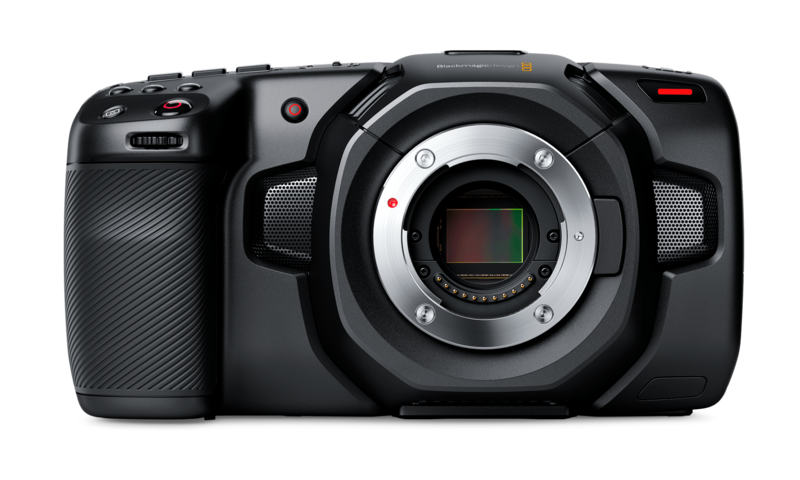 Which a camera like this will need to compete in a hyper-competitive sector of the camera market. 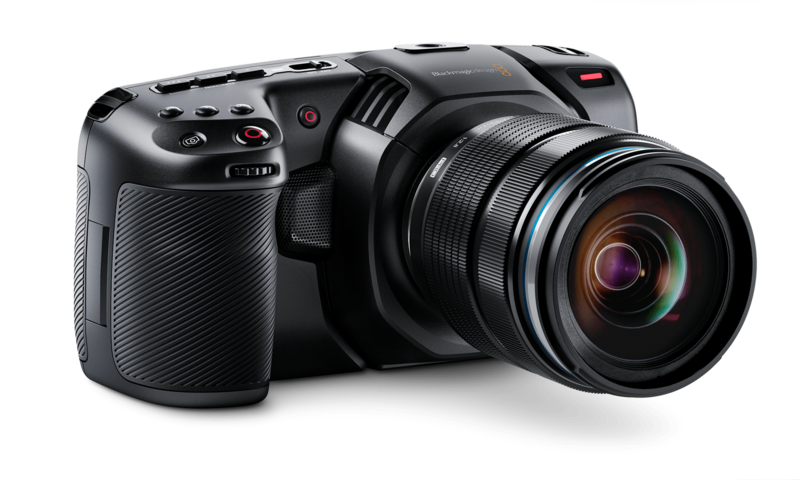 Other new features include mini-XLR audio in and USB type C. The latter means that users can equip the camera with professional microphones and other audio solutions for what the shoot calls for. The former is quite a novel idea I’m that this will allow users to directly attach USB type C drives to record the large files that uncompressed RAW at DCI 4k creates. Not only will this decrease the dependency on external records, like those made by Atomos, but also speed up workflow in a pinch as users could attach the drive directly to a computer and begin editing. That may not be the best idea, but it could work. This camera is aimed squarely at the Panasonic GH5 and GH5S. It can use all of the same MFT lenses, form-factor is roughly the same, and has a price that severely undercuts the competition. That price, by the way, is $1295.00. The one thing that would probably keep aspiring YouTubers from jumping to this camera is the fact that the screen doesn’t articulate in any way. If you’re are a one-man band kind of YouTuber, you know that you live and die by that feature. We can’t wait until later this year when the camera is released. Stay tuned for more of our thoughts from this year’s NAB show.